We continue to innovate and improve, especially for you. This way you, the user, can focus on jamming and improving your skills. So you can fire up Chordify anytime, anywhere and play along with your favorite tracks. With the new update for Android, you can even jam offline. What do you do when you have made a setlist with your favorite songs in preparation for a trip to your grandmother, who lives in the countryside? So maybe you would like to clean your guitar one last time, before getting on the train. But definitely don’t forget to take your smartphone with you, on which you have made a setlist available offline that guarantees a night full of rock ‘n roll. Once on location, you find out that your grandmother does not have Wi-Fi yet and the roaming facilities are non-existent. Are you panicking? Of course not! 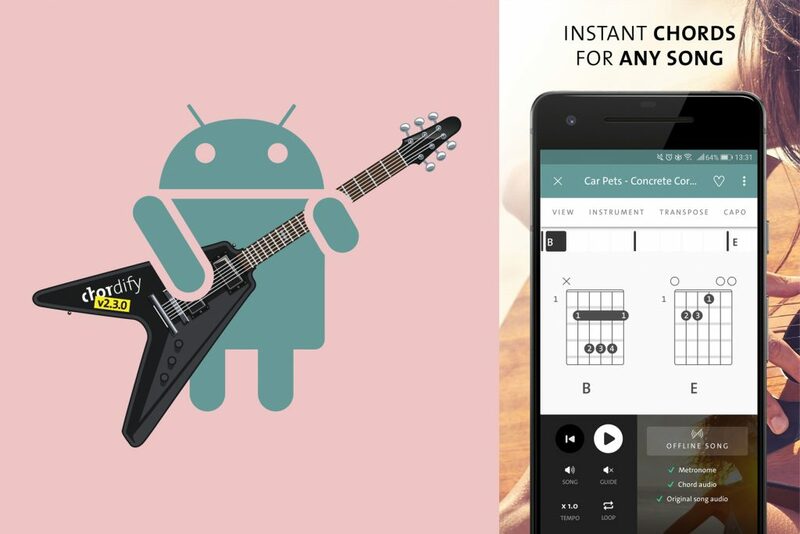 Because you stored your tracks on your Android phone via Chordify Premium and made the chords available offline. Now you can play them anytime and anywhere, regardless of your connection to the rest of the world. It’s all possible with the new update for Android devices. We hope it’s useful for you, we like to make sure that your status as a rock star is preserved. Don’t forget to update your app. Happy jamming! Check out the new Chordify app for Android! This entry was posted in Chordi-facts, News and tagged Android app, premium features on Wednesday March 27th, 2019 by Teo Lazarov.